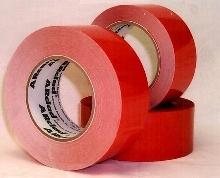 Splicing Tape offers quick tack and requires no clean up. ARcladÃ‚® 0068 double-faced repulpable splicing tape has aggressive adhesive for splicing hard-to-adhere-to paper and paperboard grades such as coated, uncoated, offset, tablet, rotogravure, kraft, toweling, linerboard, and specialty grade papers. It maintains tack over wide range of environmental conditions and is suitable for use with automatic core starters and slitters-rewinders. Gasket Tape protects fragile equipment. 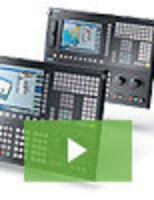 Adhesive Transfer Films perform well on foam substrates. 4-mil Unifilm U618A and 5-mil Unifilm U619A high-performance acrylic adhesive transfer films offer extremely high tack, and are designed to provide high initial wet out and superior anchorage to ether and ester foams. Transfer films perform well over range of operating temperatures, and offer very high peel strength. 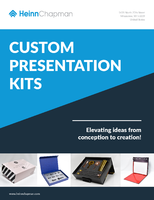 Products deliver humidity and water resistance, and may be die-cut. 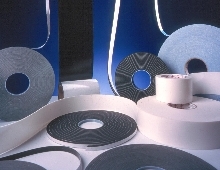 Adhesive Tapes minimize media fogging and head corrosion. 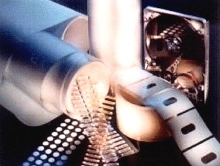 Adhesives are designed for wireless device assembly.